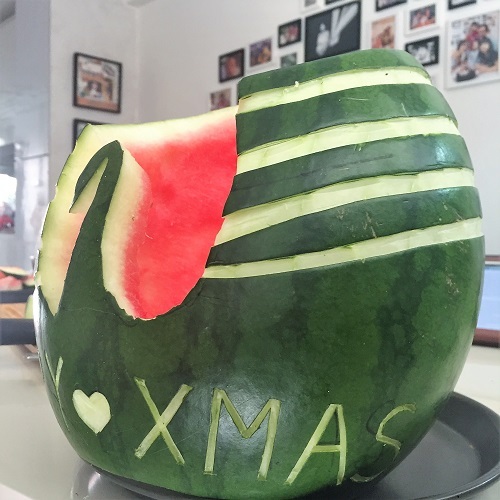 Slice off one end of the water melon so that the watermelon can sit on a plate while you carve. 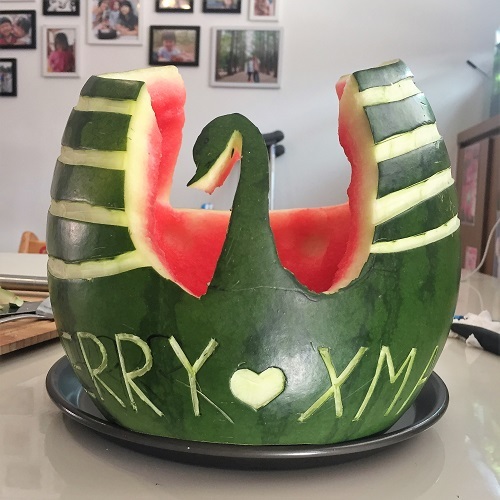 Use a whiteboard marker and draw the outlines of the swan or the picture that you want to carve. 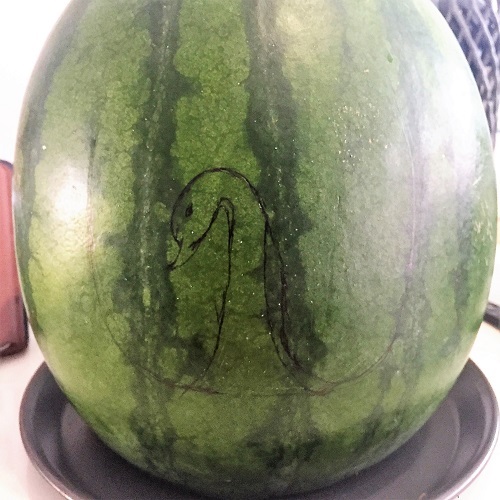 Then slowly carve out the parts that are unwanted. 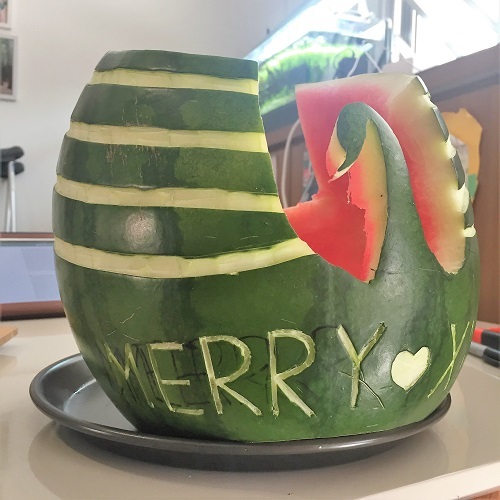 Once you have an opening, use the scraper and scrap out watermelon balls. 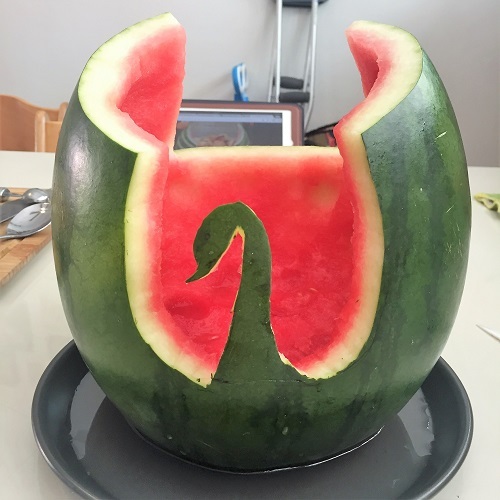 you can also cut into cubes but I like round shaped fruits. Take note that you do not scrap till the very end, or you will end up with a big hole at the bottom. 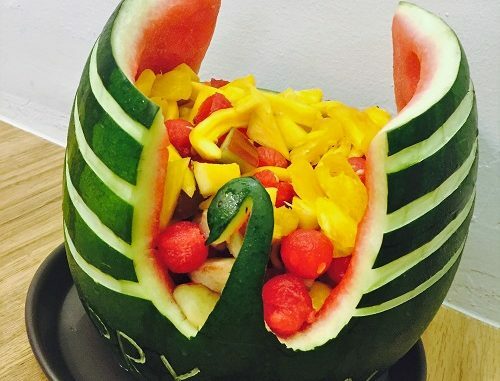 After carving, put all the cut fruits into the basket!